Hello! It’s Lord Horatio “twinkletoes” Dawdle tripping the light fantastic down memory lane. After a particularly athletic game of chase along the corridors of The Hall I stooped outside The Ballroom to recover my breath and Whimsy’s new dog chew, a rubber effigy of The Donald, which squeaks “fake news” at every bite. As I rose to resume the pursuit with another mighty throw I was suddenly transported back in time. Through the open doors came the umistakeable melody and insistent beat of a song from another time, another place. As a callow youth I was introduced to the fleshpots of Manchester by a close pal from “ooop north,” particularly The Twisted Wheel nightspot in Whitworth Street. I fondly remember watching Junior Walker on the tiny stage at 2am during a sweaty, frenzied all night session of non-stop soul and amazing athleticism. Long before break dancing, teenagers in baggy trousers and billowing skirts, span, high kicked, did the splits and a host of other eye-popping moves that would have been at home in any gymnastic contest. It was a phenomenon that came to be known as Northern Soul, which started at the Twisted Wheel in the 60s and reached a high point in the 70s at Wigan Casino. Fans came from all over the country to dance to obscure soul records rescued from dusty American vaults by English DJs. 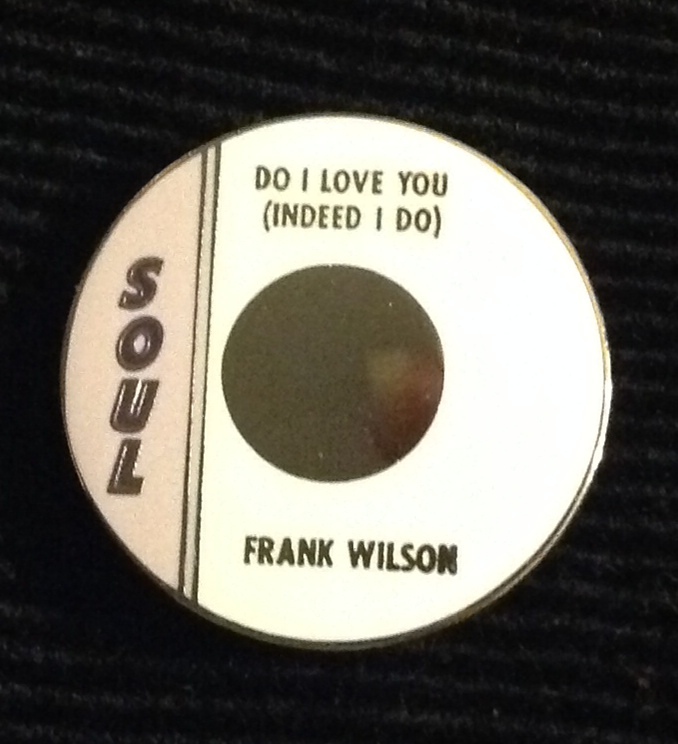 The sound from The Ballroom that stopped me in my tracks was the rarest of the rare – Do I Love You (Indeed I Do) by Frank Wilson. There are believed to be only two original copies left in the world. One is reputedly owned by the man behind Tamla Motown, Berry Gordy, and the other recently changed hands for around £15,000. Even though the record never made it in America, Ian persuaded Frank to perform for his camera during the making of the epic 6 DVD set, The Strange World Of Northern Soul, in 1999. He also filmed Dobie Gray giving a rendition of another Northern Soul anthem, Out On The Floor. To see that click on the second link above. Determined to find where the sound of yesteryear was coming from I strode into The Ballroom with Whimsy hard at heel. Up on the stage, to my surprise, was my young nephew Alexander. Without revealing my past association with the music I asked what was afoot. He revealed that among a certain section of today’s youth Northern Soul is all the rage. He was preparing to host a Dawdle Hall all nighter for his mates! For a brief moment I toyed with the idea of appearing in the centre of the heaving throng at 3am, legs flailing, armed with a tin of Old Spice talcum powder. In my day it was the aromatic board dusting of choice for serious spinners and was actually banned from some venues in case it ruined their sacred ballroom floors. However, the prospect of deep humiliation followed by an expensive a trip to the osteopath quickly brought me to my senses. I would need a tonic, not to mention my old trousers of that sparkling hue, and help from my good friend Gordon. No doubt the ice would come in handy for those tortured limbs afterwards too. I timed my dramatic appearance amid the gyrating throng to perfection. As the opening chimes of Judy Street’s “What” rang out I flung open the ballroom doors and leapt onto the dancefloor. The first high kick went well, followed by a disastrous attempt at the splits. Undaunted by the sound of my spangled seams parting company I went for the big one – a jump up and spin! At this point I was joined by an unexpected partner. Delighted by all the hulaballoo Whimsy had latched onto one of my flapping trouser legs with his teeth. As I went up in the air my strides came down and the attempted triple twirl nose-dived. The next thing I knew I was waking up in bed with a splitting headache under the baleful gaze of my unsympathetic wife. “What” indeed!